South America holds great potential for geothermal energy, but barriers to development leaves it largely underdeveloped. However some private investors and development banks are on the cusp of unlocking the abundant energy source. New Hampshire, USA -- The ring of fire is a geologic region that extends in a horseshoe shape from the bottom tip of South America, up along the Pacific coast through North America, and looping back through Asia and down to New Zealand. It's lined with more than 400 volcanoes, and as the Johnny Cash song goes, it "burns, burns, burns," which also means it's a geothermal dream zone. Some areas on the ring have taken advantage of the immense resources; New Zealand, for example, has developed more than 800 megawatts (MW) of geothermal capacity that accounts for about 19 percent of its energy supply, according to the New Zealand Ministry of Economic Development. But on the other end of the horseshoe in South America, geothermal energy remains largely untapped, leaving what Pierre Audinet, clean energy program team leader of the World Bank's Energy Sector Management Assistance Program (ESMAP), calls an "open frontier." "South America has an enormous perceived potential. And there is a nascent desire of many governments to actually get that potential to become a reality," explained Audinet. "But it is still not completely straightforward for a variety of reasons." While many countries to the north, such as Mexico, are slowly putting geothermal projects online, South American regions are lagging behind for a variety of reasons — some easily recognizeable, some not. It is widely known that a major barrier to geothermal development, no matter the location, is the cost of test drilling. This is by far the most expensive step in the development process, and many projects struggle to secure financing due to its high risk. Approximately 50 percent of test drilling produces negative results — zero geothermal activity — so many commercial banks are very unlikely to finance these projects. Therefore, much of the development in Latin America, and even countries in eastern Africa where development is blossoming, has been led by the private sector, according to Audinet. While governments have already handed over geothermal concessions to those private developers to move ahead, "it's not as if you have a million private sectors with deep pockets able to shell out initial important capital expenditure to do the test drilling," said Audinet. There are very few developers that are able to take on these costs, so many are now simply sitting on concessions, bringing the industry to a stand-still. And in some cases, explained Audient, the cost of test drilling is even more expensive because the equipment mobilization costs, such as bringing drilling rigs to those areas, are very high. "You end up having hefty capital expenditure just to drill a couple of wells and verify your geothermal source," he said. "It is a tough world nowadays for financing. There are talks, appetite, desire, and competent players, but it will take time." Slowly governments are increasingly realizing that they need to step in, but so far they haven't been able to figure out how. "It is still very much in the open," said Audinet. "There are countries where it is still a blank slate." In Chile, for example, the government is trying to figure out how to channel some type of subsidy or support to private developers. It recently announced a new renewable energy target of 20 percent by 2025 (excluding hydropower), up from the previous 5 percent goal. However there are legal and budgetary constraints in the way of achieving the target. Everything is left to the private sector, from generation to transmission, which makes it difficult for the government to step in, said Audinet. "They have straightjacketed themselves into private sector development, which can be very good, but in other ways can be a limitation when dealing with a massive financial hurdle," he explained. 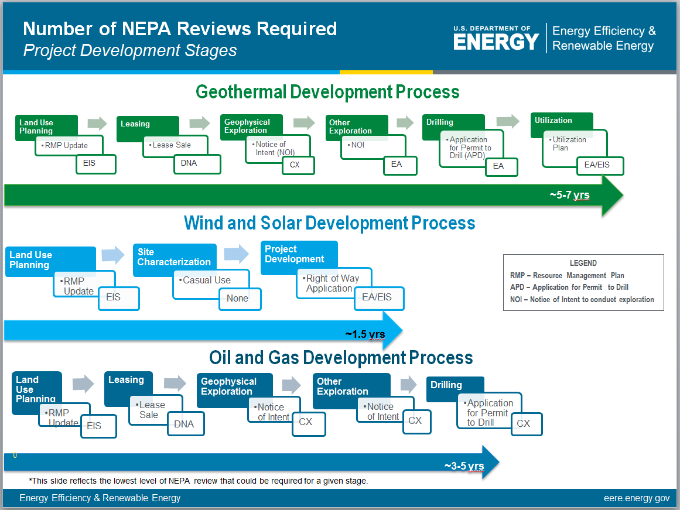 Unfortunately, there is no "silver bullet" policy for geothermal development. "We wish you could put in a FIT [feed-in tariff] and everything would move along, but unfortunately it doesn't work like that for this technology," said Audinet. Adding to the financial pressure, there are also some environmental concerns for geothermal development. Some of the projects that are being planned, and even some existing plants planned for expansion, are located in national parks. Other viable areas for development may exist on lands where there are indigenous people. This creates additional developmental hurdles and longer lead-times. According to Audinet, "these constraints could change as regulations evolve, but it is more work now." In 2012, Alterra Power Corp., a geothermal developer based in Canada, announced a partnership with Energy Development Corporation (EDC), a Philippines-based geothermal developer, to pursue six of Alterra's geothermal concessions in South America. One of which, its Mariposa project in Chile, is moving along and could be online by 2017. "This transaction represents a significant step forward for our geothermal assets in Chile and Peru," said John Carson, Alterra's CEO. "EDC is a strong partner with deep expertise, and we're pleased to be making this next step together." Indeed, EDC has significant geothermal development experience on the other side of the ring of fire, with several plants online in the Philippines. The Alterra-EDC partnership will provide the necessary cashflow for test drilling at the Mariposa site. EDC will contribute $58.3 million for a 70 percent stake in the project. Alterra has already identified geothermal potential of more than 300 MW at the site, but further drilling is required to test for plant permeability. Enel Green Power Latin America also has its sights set on Chile, and formed a partnership with Empresa Nacional de Petróleo (ENAP), the National Petroleum Corporation in Chile, to develop its geothermal assets. In August, it signed a $100 million loan with Chile's Banco de Credito e Inversiones to be disbursed before 2014 in order to develop its renewable energy investments in the area. In early 2013, the World Bank announced that it would establish a $500 million fund to help develop geothermal concessions around the world. According to Audinet, the program has started to allocate money to help identify test-drilling projects, and is zeroing in on Latin America "more than other regions," he said. "We are helping to identify a pipeline of test drilling projects and helping to lobby and call upon all development banks and donors interested in geothermal to prioritize more money towards test drilling," said Audinet. "That is where the money needs to go if we want to unleash that geothermal potential." Since geothermal projects have long lead times and can take up to a decade to complete, Audinet doesn't expect many megawatts to come online in the next few years. However, he does expect a spike in activity. "All I can say is that you have a gradual positioning of players, including financial institutions like the World Bank, InterAmerican Development Bank, and CAF (a Latin American development bank), that are conversing on ways to approach projects and move forward," explained Audinet. "These are conversations that started in the past 10 months so from that I would imagine that some things would eventually emerge." One type of geothermal system with non-metal pipe loops - Nice video! Direct Exchange (DX) type geothermal system with copper pipes. Nice heat pump function explanation. Since they guarantee the heat exchanger pipes for 50 years, this is really a lifetime investment. It's ALWAYS around 55 degrees F under your house, winter at 10 below or summer at 90 above. This is an IDEAL solution for renewable energy because it mainly functions by AVOIDING energy use, not simply ramping up a system to whatever square feet you want in a house. OF course if the house is already there and is huge, the system will cost plenty. However, if the government provides low interest financing for new houses of a reasonable amount of square feet (about 1,000 for a two person household) as well as financing for refurbishing old SMALL houses with a "pay as you SAVE on fossil fuels" long term payment, everybody could embrace this technology and kill heating oil once and for all. Of course furnace manufacturers and fossil fuelers won't be too happy about it. Iceland is sitting atop a bubbling pool of geothermal energy — they use it to heat the entire country, basically. But now one company — which, according to FastCoExist, is sitting right next to an actual volcano in Iceland — has figured out a way to run the country’s cars on volcano power, too. 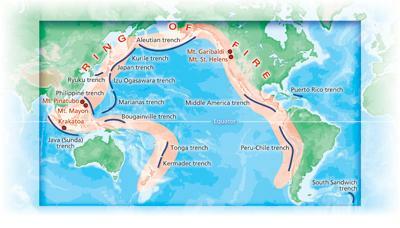 The volcano makes the incredible amount of energy in the Earth’s core accessible from the planet’s surface. A power company’s already using it to make electricity, but the process emits a fair bit of pretty concentrated carbon dioxide. Here’s where the new innovation comes in: This company, Carbon Recycling International, takes that CO2 and turns it into methanol, a fuel that can power cars but which lacks the nasty carcinogenic byproducts of gasoline. Their process could actually be used to capture and recycle carbon dioxide anywhere. But it’s trickier at places like coal-fired power plants, where emissions are a mix of chemicals that are expensive to separate. The CO2 emissions from the geothermal plant are easier to capture and use because they’re more concentrated. And the geothermal plant also provides cheap, renewable electricity to power the conversion to methanol. It’s a little less fun than if someone had figured out how to scoop molten lava directly into the back of a car and watch it steam off at top speed. But this seems safer. Ram Power is a renewable energy company engaged in the business of operating and developing geothermal properties and has interests in geothermal projects in Nicaragua and the United States. RENO, NV--(Marketwired - Dec 19, 2013) - Ram Power, Corp. (TSX: RPG) ("Ram Power" or the "Company"), a renewable energy company focused on the development, production and sale of electricity from geothermal energy, is pleased to announce today the following project and corporate updates. The Company is currently conducting a remediation drilling program to increase the steam resource of the San Jacinto-Tizate project (the "Project"). The remediation drilling program calls for the refurbishment of four existing production wells as well as the replacement and perforation of specified well casings along with the deepening and forking of two wells. The remediation drilling operations are being led by Sinclair Knight Merz, the resource consultant for the Company, in consultation with PENSA and ThermaSource Inc. (the "Remediation Team"). In August 2013, the Remediation Team successfully replaced 367 meters of damaged liner and perforated a 60 meter section of liner which had demonstrated increased temperature and permeability. Well SJ 6-1 steamflow is currently estimated at 9.8 tonnes / hour or 1.3 MW (gross) and the well was connected to the plant on September 26, 2013. In September 2013, the Remediation Team successfully perforated 60 meters of blank liner to recover production at an upper major zone that may have been affected by prior mineral deposition. After a brief recovery period, well SJ 6-2 was placed back in service and steam-flow is currently estimated at 9.5 MW (net). The remediation program for well SJ 9-3 began on August 25, 2013 and was successfully remediated in three phases. During the heat-up period and discharge test of well SJ 9-3, the Company conducted a sinker bar survey run on November 24, 2013, and discovered an obstruction at approximately 1,100 meters in the main leg of the well. Following the discovery of the obstruction, the Company initiated a series of well air capping cycles by alternating well head pressures in an attempt to remove the blockage naturally and to stimulate well SJ 9-3 flow. On December 6, 2013, the Company conducted a down hole camera survey which reconfirmed the blockage at approximately 1,100 meters. As a result, following the completion of well SJ 12-3, the Company will mobilize the ThermaSource drilling rig back to well SJ 9-3 to clear the main leg obstruction. The clearing of the blockage is expected to take approximately 10 days, at which time the well will be put back into thermal recovery. The Company remains encouraged with the initial results of well SJ 9-3, including, but not limited to, the drilling loss circulation during remediation, down hole temperature and the results of the injectivity test. In preparation for the remediation work, well SJ 12-3 was removed from production on October 8, 2013. The Company successfully perforated the liner as well as deepened, and forked, well SJ 12-3 to approximately 2,400 meters. Following the remediation efforts, the Company was unsuccessful at retrieving the whipstock used to directionally drill the forked leg. A down hole camera was used to view the whipstock, and from the initial images it was evident that the casing joint holding the whipstock was not stable, preventing the whipstock retrieving tool from engaging the keyway pocket to extract the whipstock from the well bore. Once the Company is able to retrieve the whipstock, the Company will continue with normal operations and drill out the isolation plug and retrieve the inflatable packer. The Company expects the process to finalize in the near future, at which time the well will be shut in for thermal recovery. The Company and the Lenders are in negotiations to amend the remediation completion date in the Common Terms Agreement, with such revised date to start in mid-January 2014. Following the completion of the resource remediation drilling program, the Company will conduct a plant capacity test expected to be concluded in mid-February 2014. The test includes a 30-day stabilization period of the resource field followed by a 7-day performance test to determine the net operating output of the plant. The overall remediation drilling program has a targeted increase in steam availability of approximately 9 to 14 MW, or 70-110 tonnes / hour of additional net capacity bringing total generation to approximately 59 to 63 MW (net). At that level, utilizing the current power purchase agreement, the Company's expected annualized net revenue will be approximately $56-61 million annually. MATSUKAWA_Geothermal_power_station_Iwate,JAPANvia Mainichi News / February 4, 2014 / Construction plans for dozens of mid-sized geothermal power plants have surfaced across Japan, with its rich geothermal resources coming under the spotlight in the wake of the Great East Japan Earthquake. Chuo Electric Power Co. will herald the move in April by initiating the operation of a new geothermal plant in Kumamoto Prefecture — the country’s first such facility to be inaugurated in 15 years. Orix Corp. and Toshiba Corp. are also planning to put their geothermal power station into service sometime around the spring of 2015. There are also dozens of other plans across the country to build geothermal plants each with a maximum output of less than 15,000 kilowatts. “We’d like to connect our customers living in urban condominiums and rural areas,” said Yasutoshi Hirano, vice president at Chuo Electric Power Co., a Tokyo-based company that makes bulk purchases of electricity to supply power to condominium households at low prices. The company has undertaken the construction and operation of a geothermal plant from a firm called “Waita-kai” operated by residents in a hot spring resort in Oguni, Kumamoto Prefecture. Although the planned power station with a maximum output of 2,000 kilowatts will only cater to 1,500 households, the construction of a geothermal plant with output capacity greater than 1,000 kilowatts is to be the first in the country since 1999, when Tokyo Electric Power Co.’s Hachijojima Geothermal Power Station was put into operation on Hachijo Island, south of Tokyo. The development of geothermal power generation often comes in conflict with the interests of local residents, who are worried about a possible reduction in the amount of hot spring water as a result of such construction. Chuo Electric Power Co. overcame such a hurdle by building a geothermal plant not as large as ones developed by major power companies and by sharing profits with Waita-kai. Chuo Electric Power further plans to build five more geothermal plants of a similar scale over the next five years. The company will sell electricity to major utilities for the time being but is planning to eventually retail power to condominiums. While large-scale geothermal plants normally require environmental assessments spanning three to four years, mid-sized geothermal power stations are not subject to such regulations. The purchase price for renewable energy generated by a power plant whose maximum output is less than 15,000 kilowatts is also set relatively high at 42 yen per kilowatt hour under the feed-in tariff system, encouraging new companies to enter the business. The purchase price is set far cheaper at 27.3 yen per kilowatt hour for renewable energy generated by plants with a maximum output of 15,000 kilowatts or more. As a volcanic country, Japan is blessed with geothermal resources that are the world’s third largest in volume behind the United States and Indonesia. The potential of geothermal power generation is high, but opposition from local residents and construction regulations within national and quasi-national parks had hampered the development of geothermal power. The change in the tide came following the March 2011 Great East Japan Earthquake and tsunami, which prompted the government to relax regulations and trim assessment periods. A consortium of 10 companies including Idemitsu Kosan Co. and Inpex Corp. is planning to develop the nation’s largest geothermal plant within the Bandai-Asahi National Park in Fukushima Prefecture, with an output capacity of 270,000 kilowatts. The consortium is eyeing to start operating the plant sometime in the early 2020s. According to the Ministry of Economy, Trade and Industry, around 20 locations across the country are under survey for potential geothermal power generation by trading houses, oil companies, local governments, hot spring associations and other entities. Apart from this, preliminary surveys are also underway at 42 locations in the country, signaling the arrival of a booming geothermal market in the near future. Reykjavik, Iceland -- Iceland is moving closer to plugging European homes into the volcanic island nation’s geothermal and hydropower reserves via what would be the world’s longest power cable, according to the country’s largest energy producer. 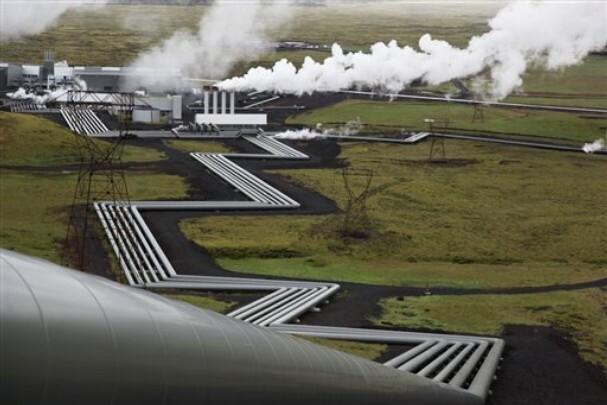 The government estimates that 75 percent of Iceland’s energy is undeveloped. Hydropower from the nation’s glaciers accounts for about 73 percent of electricity production and the rest is generated from geothermal sources. Less than 40 percent of the available geothermal energy, which taps the earth’s heat, is used to make electricity. The north Atlantic island of 320,000 inhabitants is seeking to diversify its economy as it recovers from Europe’s biggest banking collapse this century. The country currently produces 17 terawatt hours of electricity, a figure that could be doubled, according to Arnarson. For the project to be feasible, Iceland must sell at least 5 terawatt hours via the cable, he said. I agree with Gary Tulie! What's more, ALL the machinery now used to run a nuclear power plant (minus the radioactive fuel rods and reactor, of course!) can be used in a geothermal capacity. Why? Because the temperatures exactly suited for the 600 degrees or so centigrade nuclear power steam generation, the alloys used for the infrastructure, the corrosion protected pipes, etc. are actually MORE durable for the same , but totally clean function of harvesting renewable energy from a geothermal source. This is one of the best kept secrets (by the nuclear power advocates = who don't want you to know it...) in the energy resource world. It's actually cheaper to build a geothermal power plant, despite the huge investment in drilling deep into the earth and laying the corrosion resistant piping. Why? Because there are zero Uranium mining and climate damaging costs, zero security costs (no radioactive material to steal or sabotage) and longer MTBF from the pipes, pumps, valves, electronics and steam turbines not subject to premature aging and failure from radioisotope caused embrittlement. The risk of contaminating aquifers is infinitesimal compared with nuclear power. All this means they will be easily insurable without some coercive government, nuclear lobby protecting law, have 40 plus year life spans with guaranteed 24/7 base load power and income for investors with improved health and viability for the people and the environment around the geothermal power plant. Let's shut down all those nuclear poison pigs, pull steam turbines out and use them in geothermal, safe, power plants! NOTE:For those who think the places on the planet suited for geothermal are too few for this purpose, just look at a geological map of the planet to see where 600 degrees C is available a mile or so down. 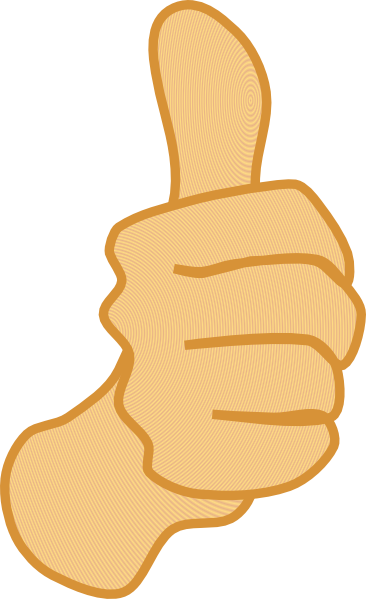 You will be quite pleasantly surprised. We need nuclear power plants like a dog needs ticks with Lyme disease!. Iceland has a huge renewable energy potential at low generation cost, and has run primarily on renewable power for many years. I suppose the question now is how to make the most of this potential - use power in Iceland for data centres, Aluminium smelting etc, or export power to Europe. Regarding the 30 to 35 terawatt hours quoted, I would say that is very likely an exceedingly conservative figure not taking into account advances in high temperature geothermal, geothermal fields of lower potential, or offshore geothermal drilling in Iceland's territorial waters. I seem to recall reading that if geothermal power can be harnessed using deep drilling into high temperature areas close to the magma, that Iceland, may have around 10 times the currently acknowledged potential. I have often argued that all the current infrastructure in a nuclear power plant, minus the problems of radionuclide contamination and excessive embrittlement and corrosion of pipes, valves and pumps, is made to order, and will have a much increased MTBF since it is already designed to handle 600 degrees Centigrade steam making, if it is used to run a geothermal power plant instead. Of course you have the cost of reaching the source geothermal heat with piping deep into the ground, but those costs are insignificant compared with the costs and dangers to the environment of nuclear power plants. Let's take those giant steam turbines out of the nuclear power plants and put them to work in geothermal power plants. It will save us millions of dollars and provide another nail in the coffin of dirty energy sources from fossil and nuclear fuels. We could even get the nuclear power plant operators to go along with it by incentivizing them to switch to geothermal with government aid in the decommissioning of the nuclear power poison white elephants. If we want our children to have a chance to live by regaining human harmony with the biosphere, we must strive to achieve the total demand destruction of fossil and nuclear fuels. Just one more benefit from the 100% Renewable Energy bonanza that geothermal power represents. Also, the nuclear power plant polluting white elephant advocates are always silent as tombs about the FACT that the nuclear power plant boiler and steam turbine equipment that require 600 degrees C for efficent operation CAN be removed from a nuclear power plant (after decommissioning) and used AS IS in a geothermal power plant, thereby saving millions of dollars in setting up a geothermal power plant that will last Generations without any damage to the environment, not 50 years or so with radionuclides sickening the surrounding life forms (including our children!) for a much longer time period. Testament to the corruptus in extremis cui prodest scelus is fecit is the fact that the proponents of the so-called "Nuclear Renaissance" brazenly ignore mountains of irrefutable evidence/proof regarding the negative aspects of ‘radioactive experimentation’ we have been subjected to. All humans have measurable levels of radioactive contamination in their bodies, mothers pass it along in breast milk and fathers, through their sperm. Simple lab tests can accurately pinpoint the age of a person by measuring the percentage and calibrating the placement of radioactive markers in teeth and bones. There really is no argument… The corporate government invented one. The United States enjoys the greatest opportunity to move things in a healthy direction. Yet the powers controlling our government effectively do just the opposite. It's criminal negligence, not just laziness, of the otherwise brilliant and well educated proponents of nuclear power poisons to choose temporal comfort now which will eventually render huge tracts of the only Earth uninhabitable, at the price of the health and happiness of future generation. The news and our leaders assure us that the juice required to fire up TV screens and operate the ski-lifts and casinos flows necessarily from nuclear generating facilities. Many among us know that isn't so, indeed, there have been, since at least the mid-20th century (and geothermal energy technology 50 years before THAT! ), numerous proven technologies which are relatively clean, green and renewable. They have been ruthlessly blacklisted, slandered and suppressed. Actually, we can live very comfortably without any nukes and even without burning much more fossil fuels , but the situation is not portrayed that way. Even if nukes were essential to the provision of our creature-comforts, clearly the poisonous DNA damaging radionuclide poisons they emit are not worth the price that cancer victims pay at present and those in future generations will inherit. 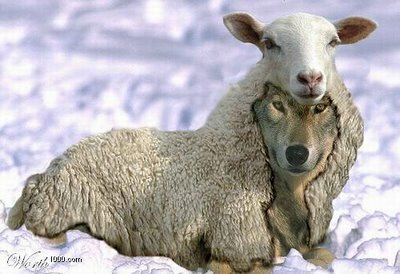 Too many intelligent humans have relinquished any remaining hint of critical thinking ability, ‘donned the sheep skin’, so to speak, and followed the herd in any direction that the political faces push. That is a big mistake since the political faces are (can only be) the puppets of the most gratuitously greedy among us. The greed is so extreme (and irrational) that they knowingly sell the well-being of their very own children and grandchildren for bigger yachts. We can stop it if more of us just get up off our pastry-stuffed butts and say NO to dirty energy and YES to 100% Renewable Energy NOW! 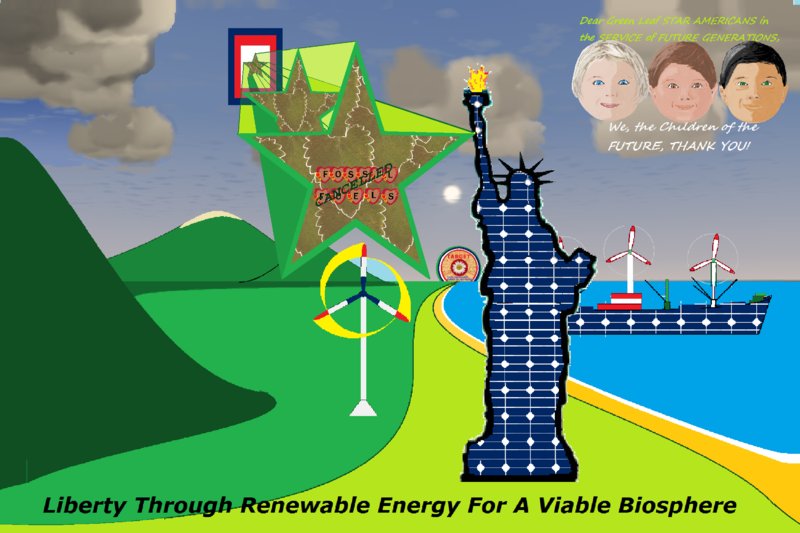 Demanding 100% Renewable energy is the way, not only to the extremely important goal of a viable biosphere, but absolutely essential to regaining our democracy from the fossil fuels and nuclear power industries that buy our politicians with the profits from pollution producing fuels while said politicians keep fossil fuel and nuclear power plant "subsides" (taxpayer theft!) firmly in place to tilt the energy playing field against renewable energy. 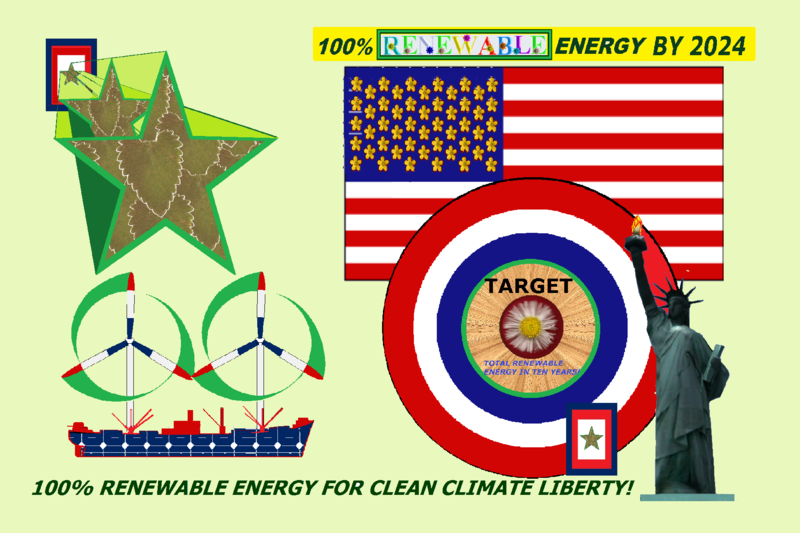 I started a petition on Care2: Demand Liberty From Fossil Fuels Through 100% Renewable Energy WWII Style Effort. I'm hoping that if enough people sign my petition, we can make a difference. Will you help me collect more by adding your name? Thank you and please pass it on. We'll have real traction against the polluters if we can get 100,000 to several million signatures by September when the petition is to be delivered to the White House.